If you already have installed the plugin from the YourKit Java Profiler version you use (i.e. having the same update site URL - see below), just make sure it is up to date: use Help | Check for Updates... in MyEclipse's main menu. Important: MyEclipse update manager needs the Internet access. 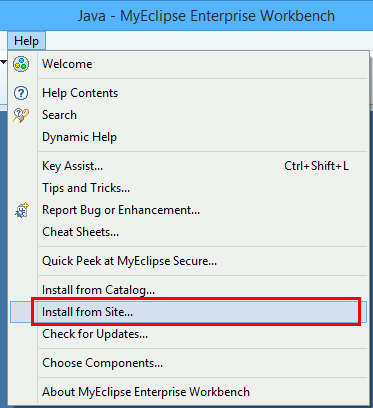 If your computer sits behind a proxy server, you will need to configure MyEclipse accordingly: use Window | Preferences in MyEclipse's main menu, select General -> Network Connections and enter the host name or IP and port of your proxy server. Indicate that you agree with the license, when asked.